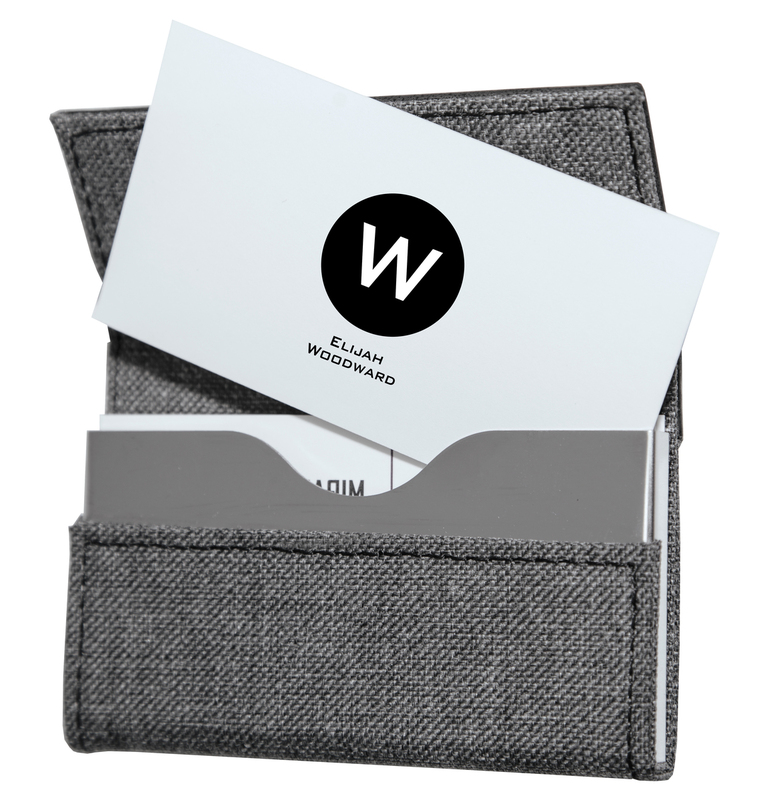 Let employees spread around your brand on our gray and black design business card holder. This eye-catching container comes in an individual gift box and holds their corporate identity. This card case may be used as a tasteful compliment to any of our other DB Series gifts or as a gift on its own. Standard packaging is a gift box. Logo set-up: $50.00(G) Straight line text set-up: $25.00(G). Personalization is available and free. One setup per PO. 1st area of engraving is included with no run charge. 2nd area of engraving is $1.00(G). Blank items receive (EQP) End Quantity Pricing. First column pricing plus 20% charge for less than minimum quantity ordered. Rush service available up to a 1-day production time. Engraving Area: 5/8" x 3"